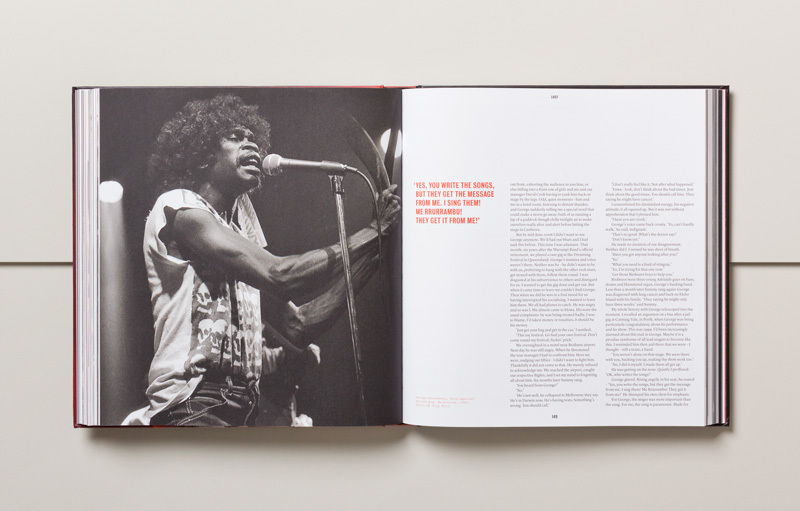 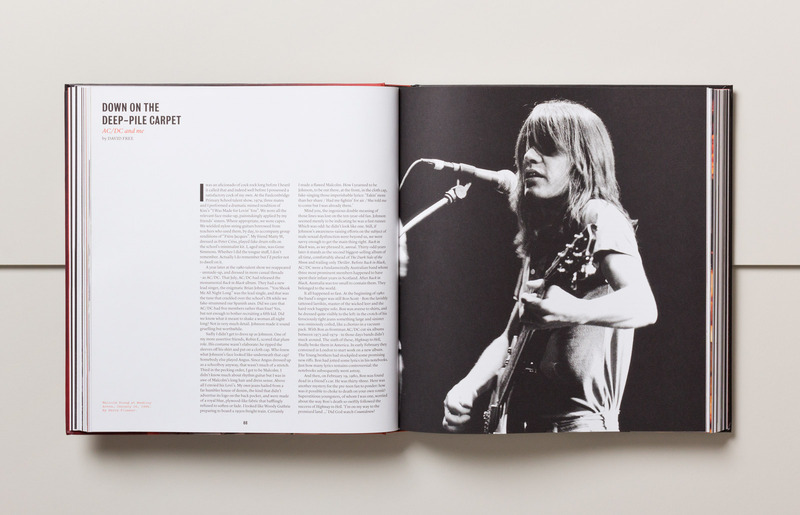 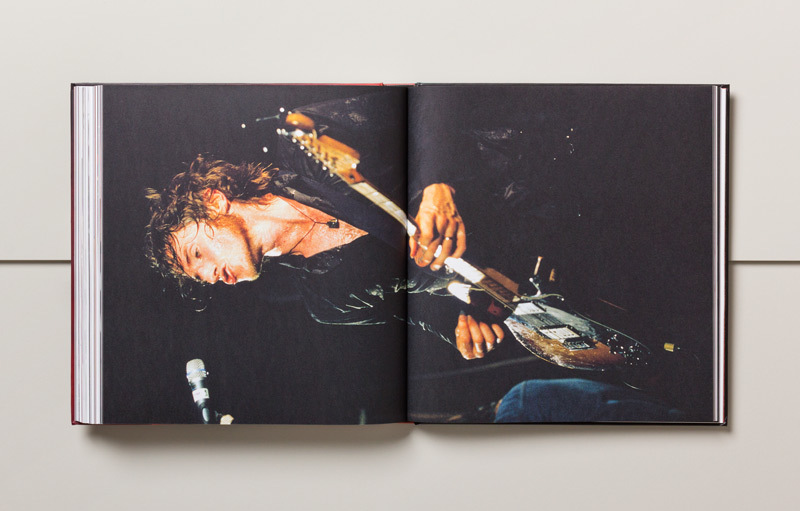 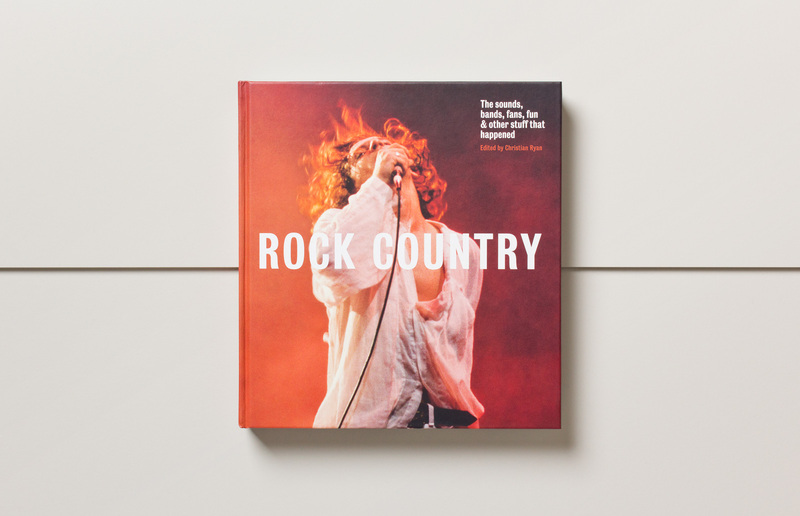 In the words of reviewer Michael Dwyer, this book by Christian Ryan attempts to capture the ‘impossibly nebulous legacy of Australian music.’ With 32 essays and over 160 photographs, Rock Country follows a similar structure to Ryan’s previous book Australia: Story of a Cricket Country, our first collaboration together. 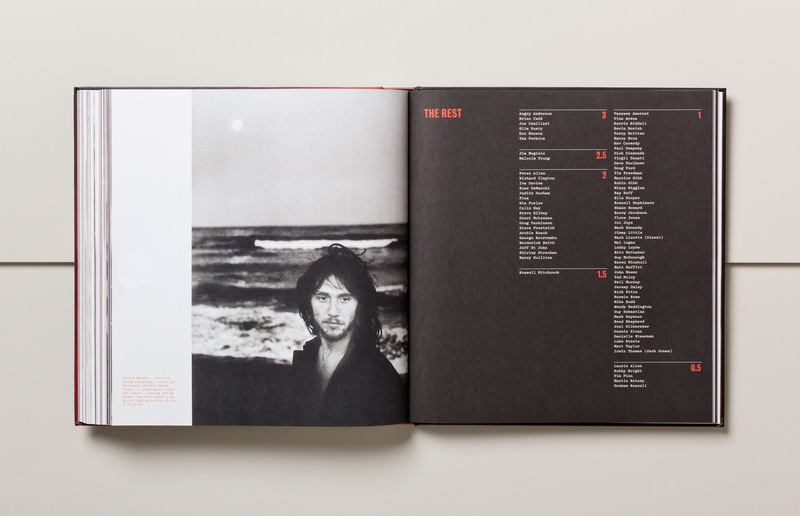 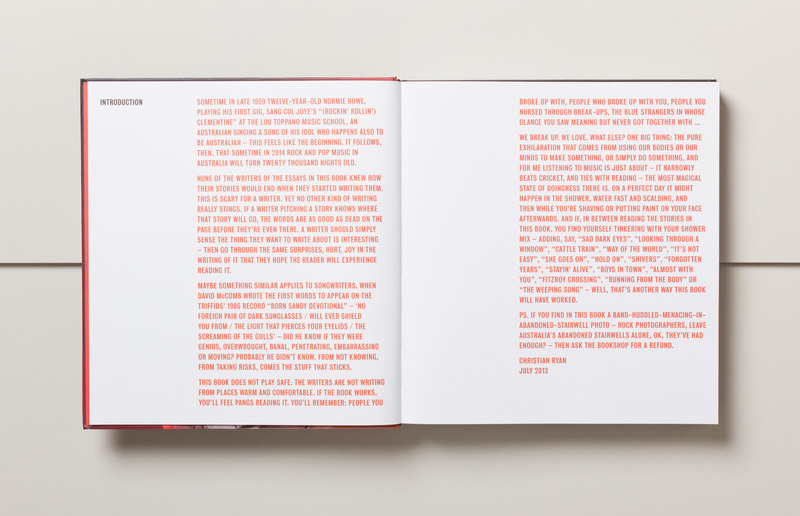 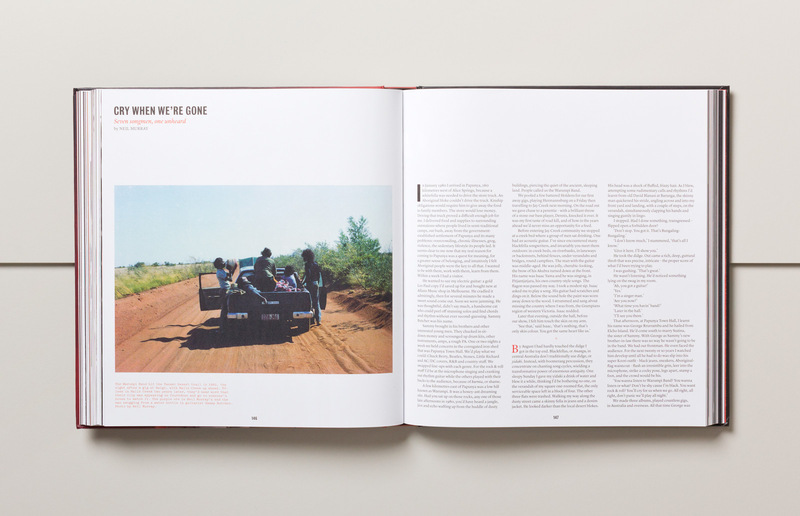 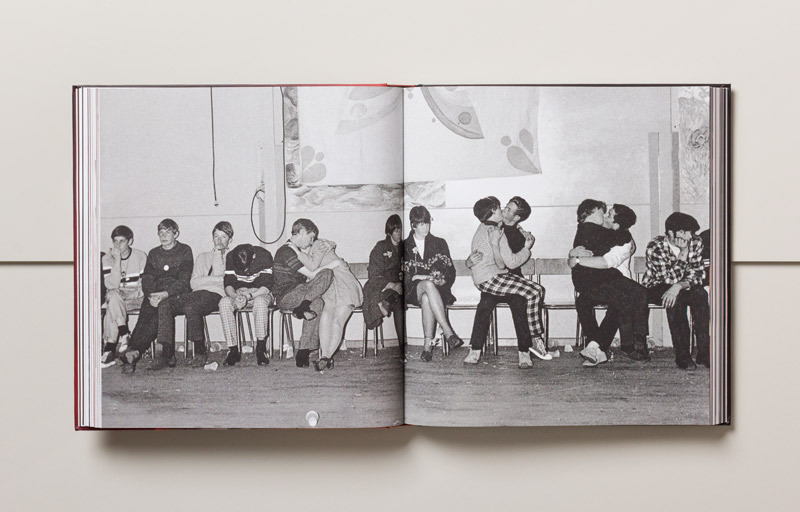 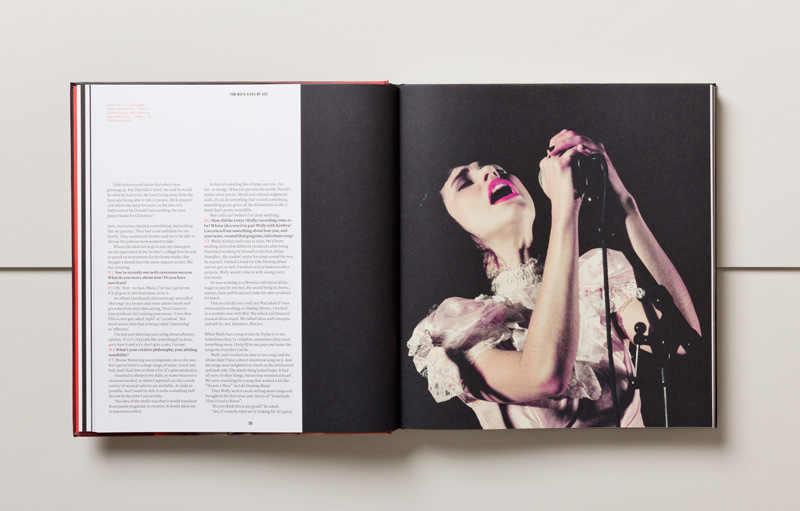 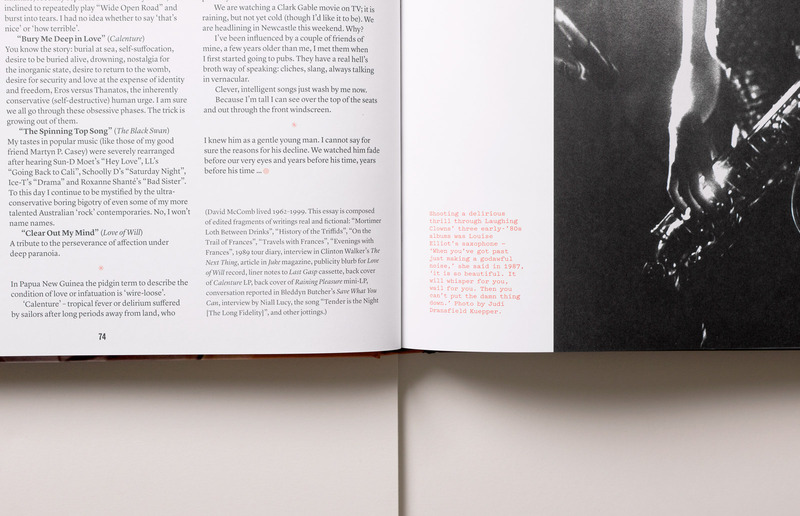 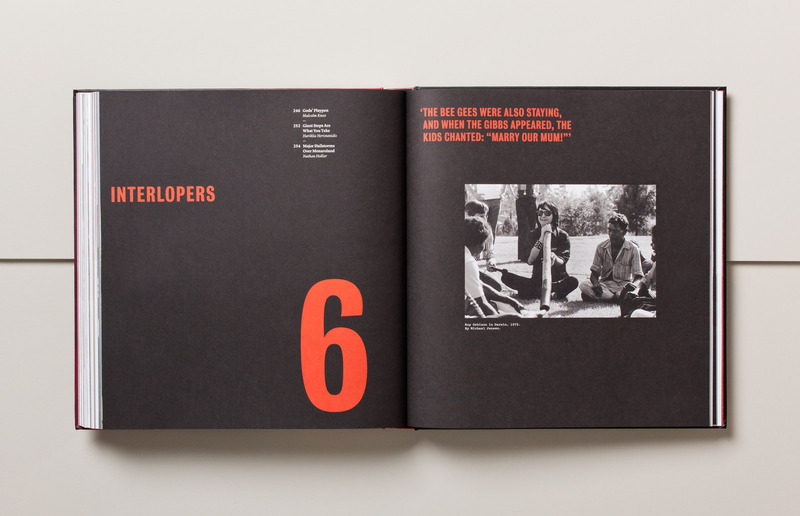 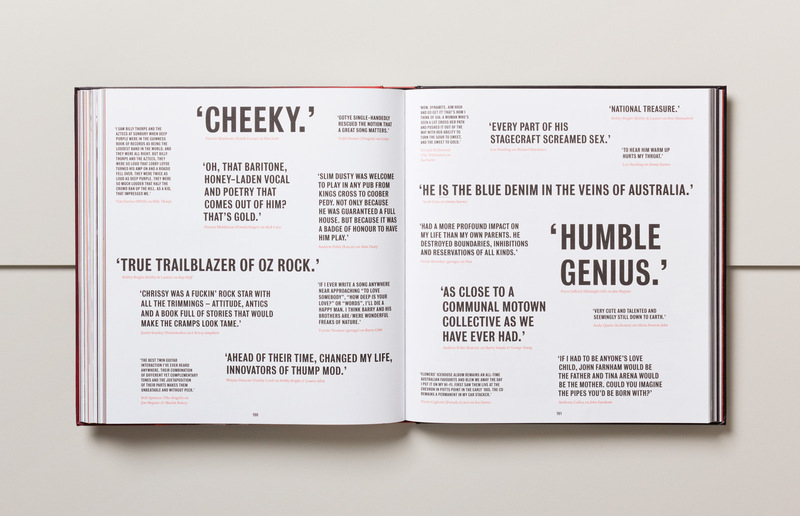 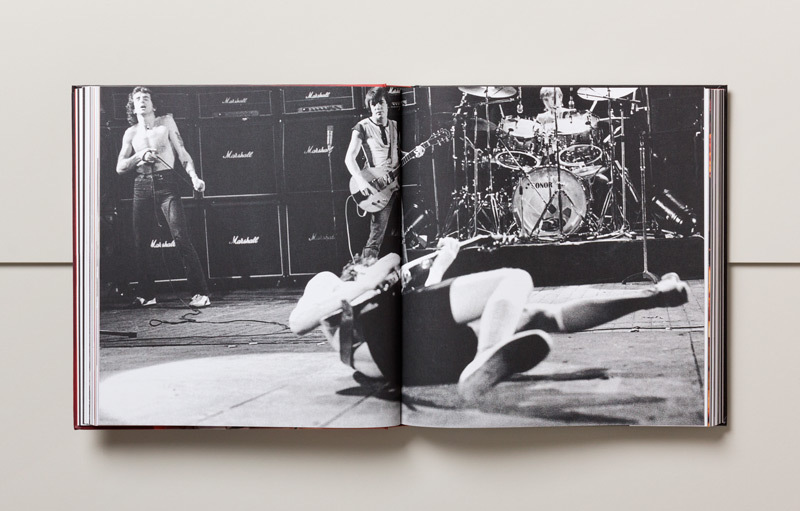 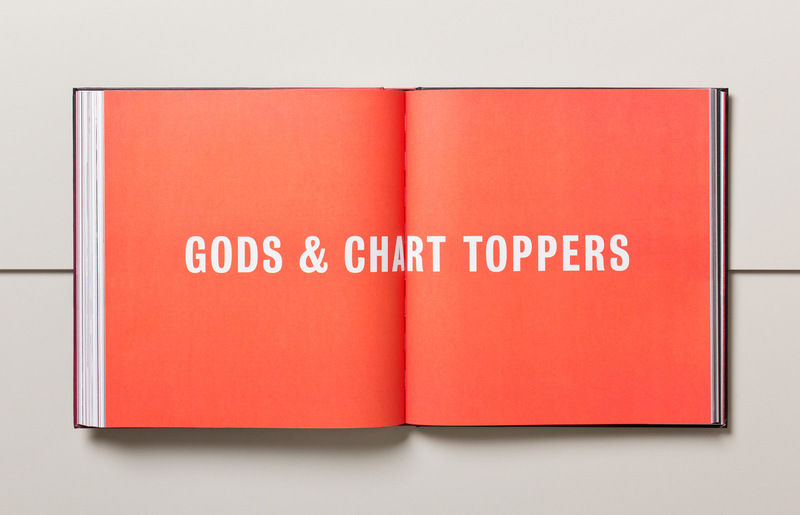 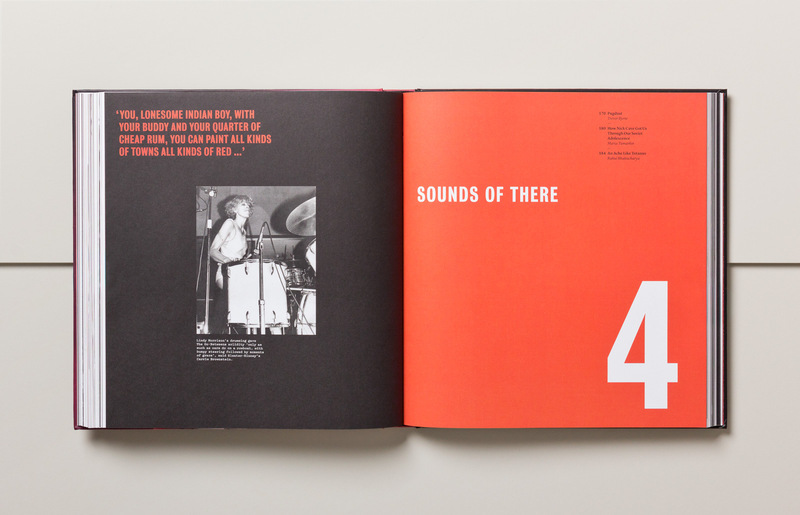 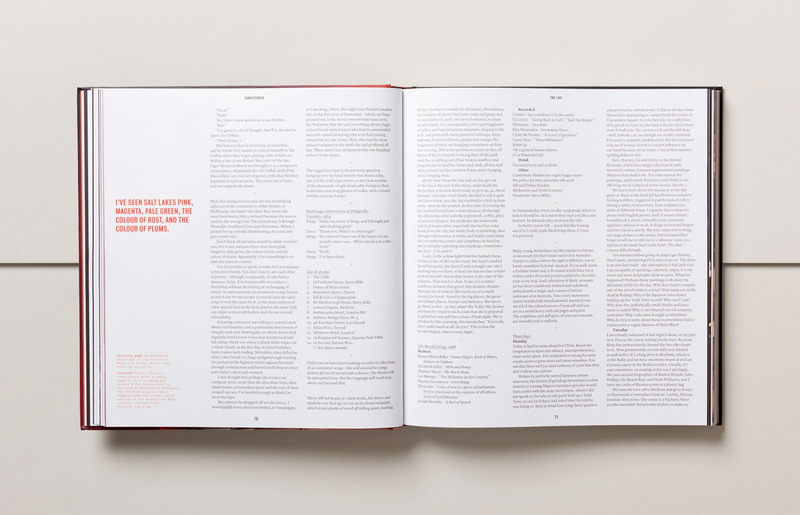 The book’s design reflects the energetic, raw nature of the content with bold typographic headlines and full bleed photography. 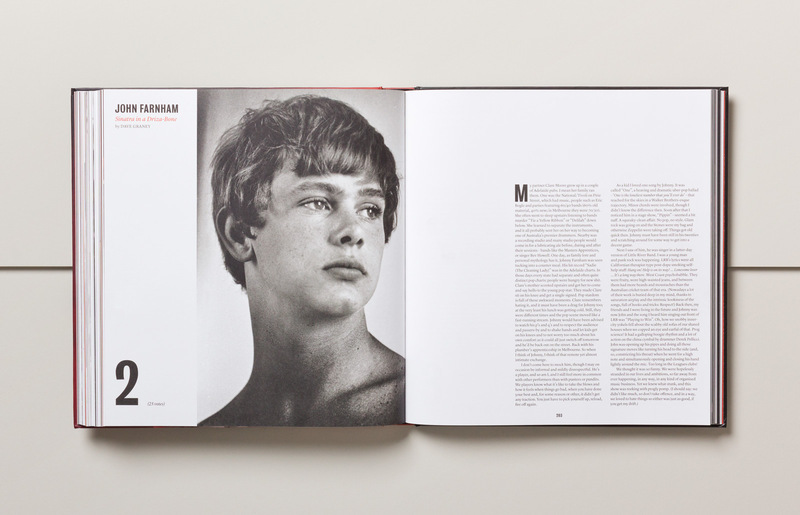 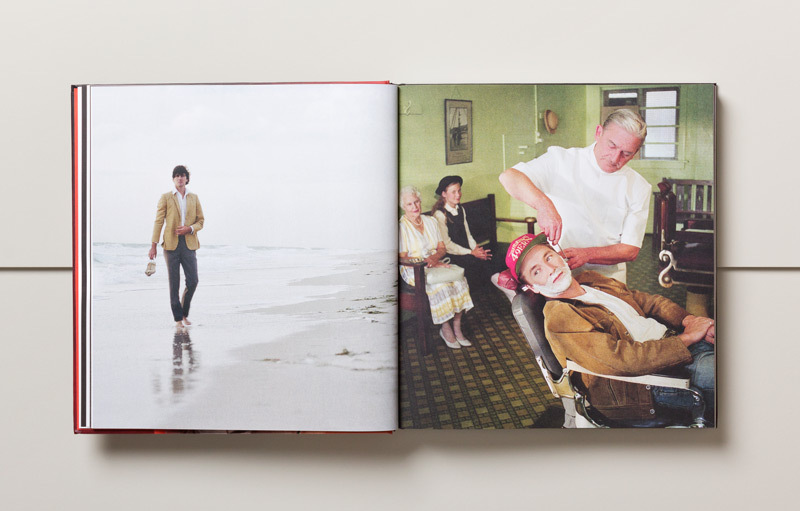 Carefully detailed essays recall magazine pages with subtle typographic elements including lead letters and dingbats. 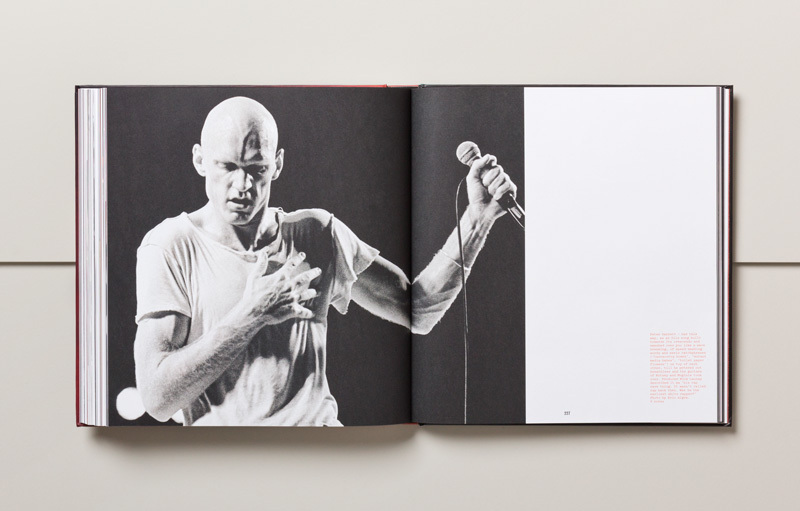 Given a problematic timeframe, the book’s design was produced at a furious pace, with concept and artwork occuring simultaneously. 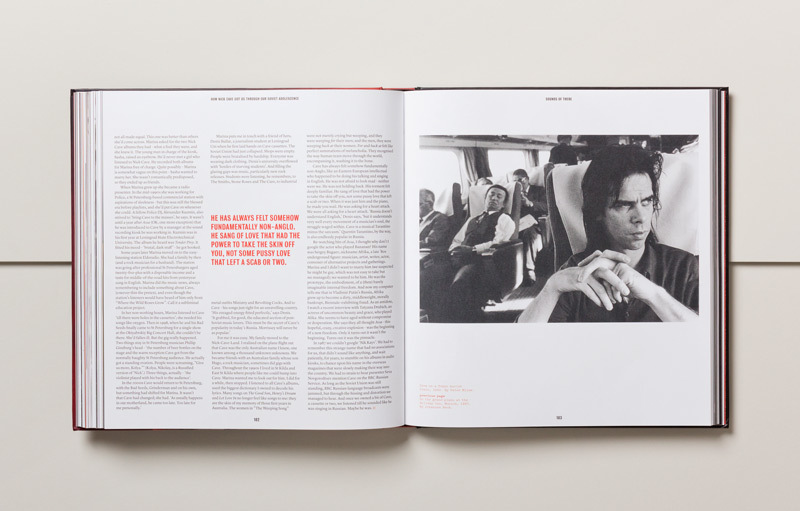 The cover features INXS frontman Michael Hutchence, a charismatic figure who embodies the archetypal rock star.